Ghosts and Monsters Oh My! YES, HOLIDAYS IMPACT WRITERS ... HOW ABOUT YOU? I've never been really big on Halloween. Suffice it to say, I grew up on a mountain in Colorado with only two other houses around--and they were filled with old people. Any trick-or-treating I did required my mom or dad to bundle me into the car and drive me around. On top of it all, I can't remember a Halloween where my costume wasn't ruined by the need to wear long-johns and a coat. Imagine a genie or princess wearing heavy tights and a parka. Though, I have to admit, I once won a box camera in the Mountain Pharmacy costume contest dressed as an Indian maiden. I wore my Campfire Grills uniform with a black wig braided with two braids and my moccasins. But prize-winning contests and all, most of my Halloweens were spent at home watching horror movies with one or two friends. 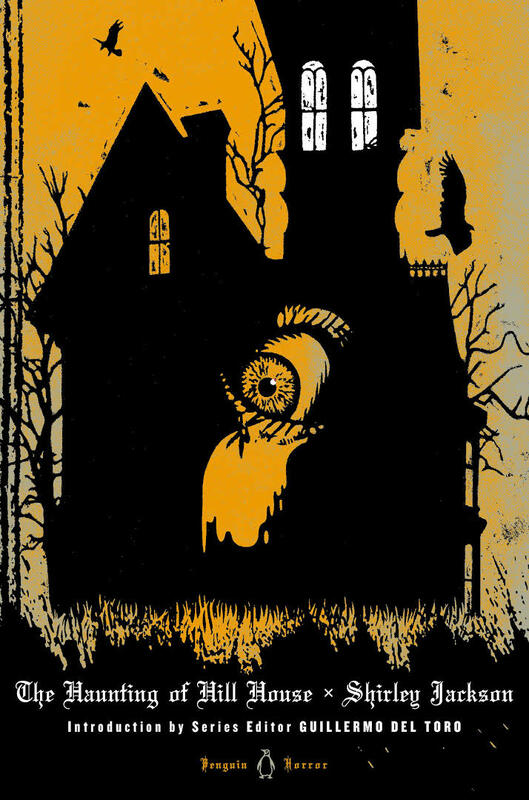 My all time favorite was The Haunting of Hill House based on the 1959 novel by Shirley Jackson. The novel was a Finalist for the National Book Award, and if you haven't read the book or seen the movie, you should consider it! 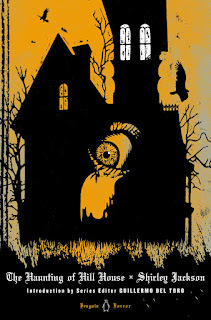 Stephen King provides a lengthy review of The Haunting of Hill House in his book Danse Macabre, a non-fiction review of the horror genre, and cites the book as one of the finest horror novels written in the 20th century. The book was adapted for the movies twice—once in 1963 and once in 1999—both times under The Haunting. The 1963 version is a relatively faithful adaptation (the other isn't) that has reached cult status. Martin Scorsese placed it on his list of the 11 scariest horror films of all time and, to this day, it scares the crap out of me. I'm...well, suffice it to say I'm getting older, but if I wake up with any appendage hanging off the side of the bed, I freak! It's sort of like how The Exorcist ruined Ouija Boards for most of my generation. That's not to say I never dressed up, or helped my children dress up for Halloween. I like to think I'm pretty creative! It's a trait I've instilled in many of my children. Here are a few of the examples of Goff Family members decked out for Halloween. while here she was a little Devil. but I know she's St. Pauli's Girl here, as I made the costume. 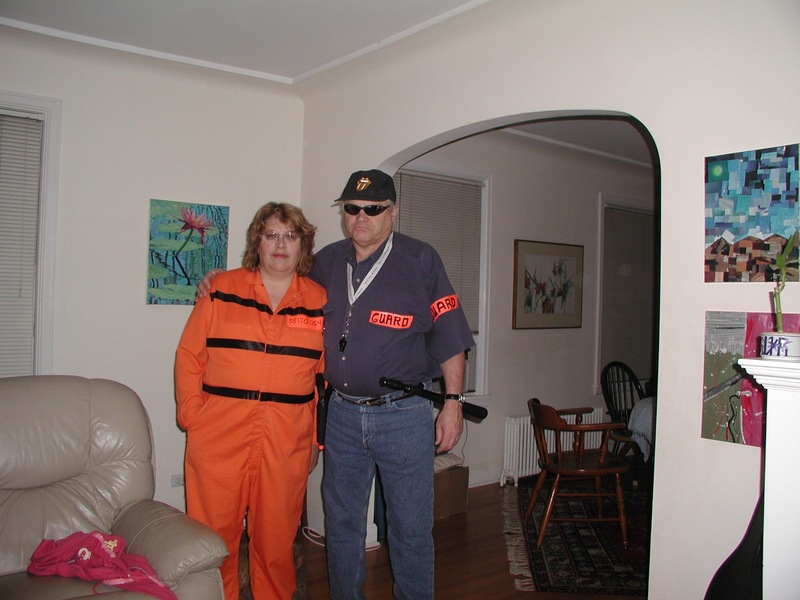 And finally, on the rare occasion that Wes and I dressed up for Halloween and attended a costume party, we went as—you guessed it—Martha Stewart and her prison guard. 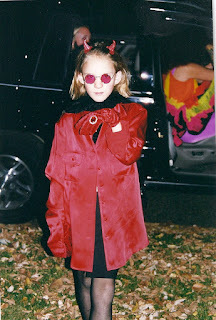 Note: I looked for a picture of me in my favorite costume of all time, and I couldn't find it. In college, I once went to a party dressed as Pinocchio. I wore the Lederhosen I bought traveling in Germany and rigged a nose I could actually make grow. I told all kinds of lies that night—in-training to be a writer. 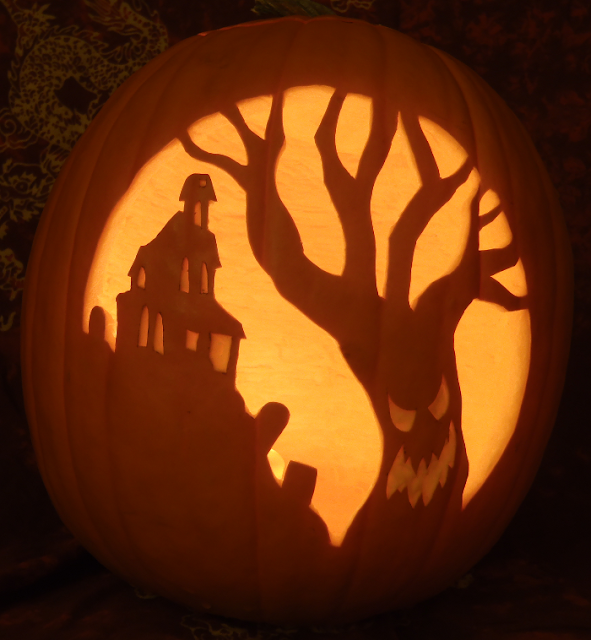 What was your favorite horror novel, or movie, or Halloween costume? Please share! Oh Chris - what terrific "home-made" costumes you show us here! But my favorite is of you and your husband as Martha Stewart and her prison guard...talk about creative! You ask about favorite costumes - I remember sewing a Superman costume for one of my sons when he was about 6 years old - finding blue tights and buying a yard of red felt at the fabric store, making a "cape" along with cutting out a big red letter "S"....the whole point of that (along with other costumes for our little ones) is that they "allow" our kids to fulfill their wish to be someone else -- a character so very special and exciting for one night. I guess that's what it's all about! Thanks for posting. I had the same problem in Iowa, Chris -- long johns under my princess costume. How horrible is that!?!?! I love the photos of your family in costume. What handsome -- and creative -- children & adults! Okay, you can't just mentioned that your house was haunted and move on! Do tell! 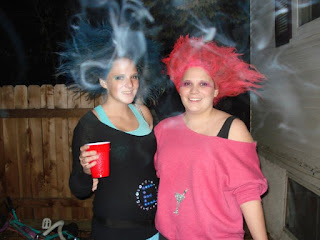 (and love the troll costumes). It's nice to know all (or most) of the Rogue Women had homemade costumes. And I agree, Karna, it's great that they can be someone they want to be. Too bad most of the trick-or-treaters we saw this year were dressed like Zombies. My favorites were still the princesses and the pirates. As for the haunting -- my daughter lived in a five bedroom house with five fellow students. She and her bestfriend occupied the upstairs. One night there was this horrible banging on the wall between the closets in their room, and the opened their bedroom doors simultaneously to tell the other to stop pounding nails at two o'clock in the morning. Another night my daughter woke up and saw a young man leaning against her bookshelf reading a book. She sat up, spoke to him and he closed the book and vanished. She wasn't afraid of him, but he really didn't like one of the other girls living in the house. He would fling open all the windows and doors when that girl was home alone at night with all the doors and windows secured, and knock things off the top of the refrigerator onto her head at times. They called in ghost hunters, who came in and tested the house for electrical disturbances (one of the main causes of "paranormal" activity), and set up equipment. Electricity wasn't the cause, and it turned out former tenants had also experienced the banging (which everyone in the house experienced) and a sometimes vengeful spirit. One of the roommates felt him try and push her down the stairs, for instance. But, Danielle lived in that house two years, never experienced much trouble except for occasional banging and seeing him one other time. And then, once the roommate he didn't like moved out, he settled right down. Who knows? Maybe he left with her.